This little creation started life as the idea for the Christmas "lights" and that was all I knew. I thought maybe a Christmas tree, but then no. I sat for weeks thinking of what else would handle these lights. Whilst searching for inspiration, I saw a snow globe ornament ... With lights on! 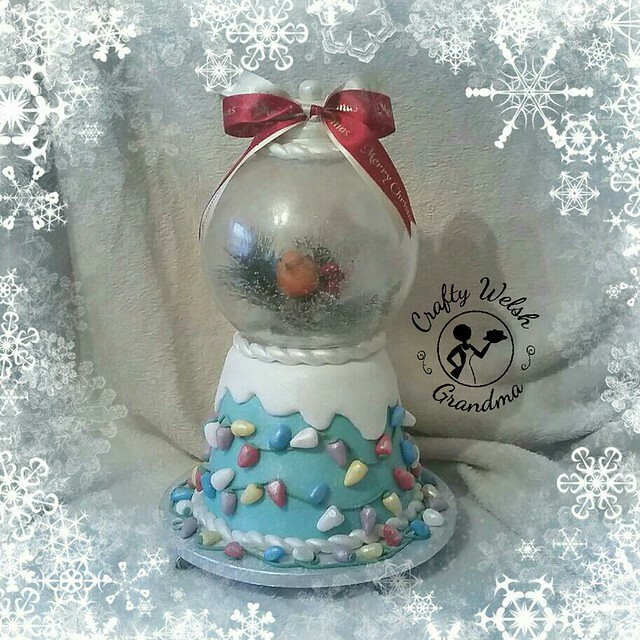 From then on, and since September, I knew my sister would be having a snow globe cake with fondant lights! I knew it had to be a sponge, so the globe could not be made from glass! It was difficult to find the perfect globe from lightweight plastic. But, as you can see, I found one. 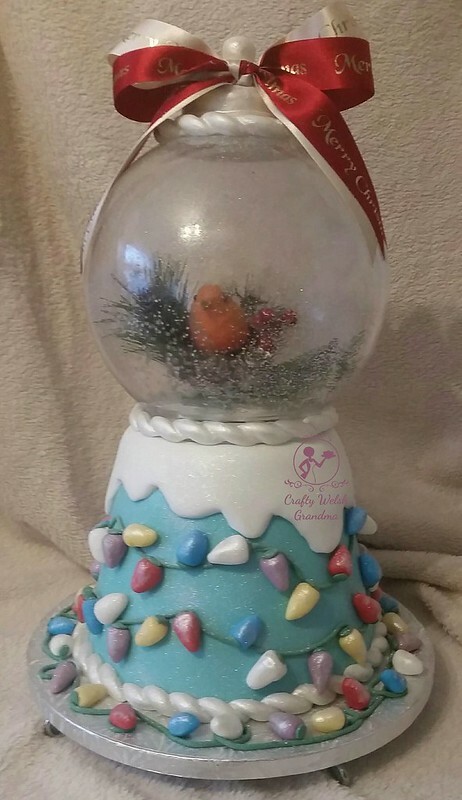 After it had been washed and cleaned, then a thin layer of edible glue was used to cover the inside of the bowl, then edible Christmas sprinkles used for the snow. Initially, I was going to make a snow scene myself, from fondant, but when I saw this little robin, sitting of fur tree branches with pine cones etc, I had to have it. I didn't even bother checking if it would fit in the globe! Fortunately, with some fancy wriggling, I made it fit. The sponge recipe is from my list of classics and baked in three size tins, a 4.5", a 6" and an 8". These we then sandwiched together with my basic buttercream and chilled. Once chilled, the sponges were carved and crumbcoated. Once frosted and chilled again, the pale teal fondant was applied on the top and the sides. I ended up removing the teal from the top in the end. I rolled the white fondant, used the bottom ofna cake tin for size, then cut the long snow shapes then applied to the top of the cake and glued down the sides. Using an extruder, I added the fondant "electrical wire" around the cake and made each light bulb, individually and fixed them to the "wire" and cake. Once the dome was glued to the top of the cake I added some fondant to the top of the dome tomhide the fact that it was flat, due to being upside down. 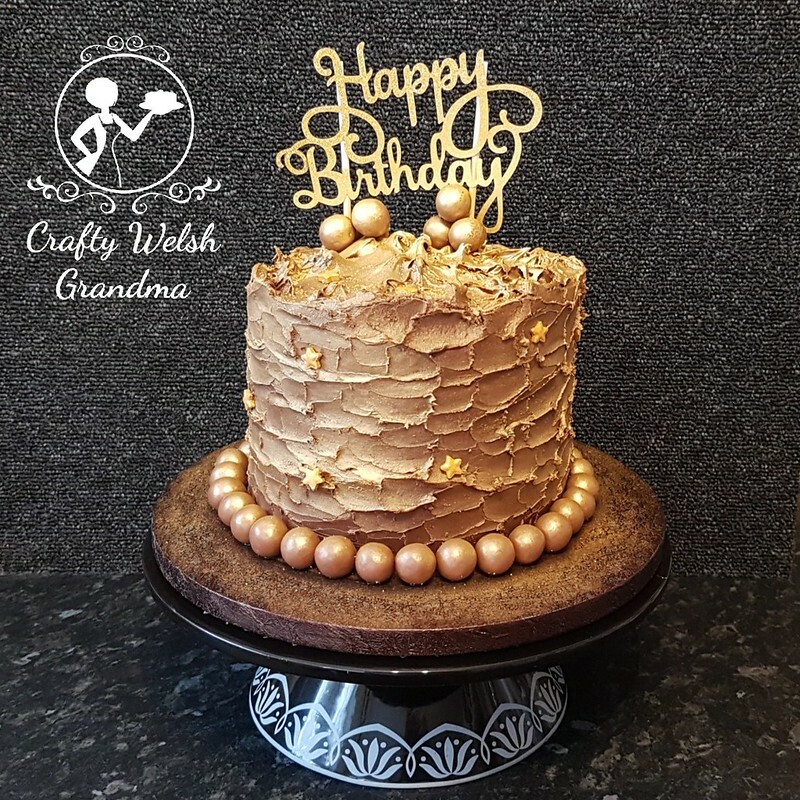 A little edible pearl paint, some festive sparkle (ediible glitter) and topped the whole creation off with a double layered bow. Transport was a little bit of an issue which I didn't account for. At a whopping 15" tall, no cake box I had was going to accomodate that! But I managed. I think my sister was happy with it. This is the last of my festive creations this year. It's time for a little rest for me and maybe a chance to decorate my own cake.